If you’re looking to install a solar power system, it is important to choose the right components to suit your individual requirements. This article aims to discuss the importance of choosing the right type of solar panels to maximize the benefits of installing a solar power system. A solar power system helps to trap the sun’s energy and convert it into electricity for everyday use. Solar power systems are being increasingly used in Australia in residential buildings, and industrial and commercial complexes. Solar power systems have become more affordable and more popular in view of reduced energy costs. The clean energy that is produced helps to fight the global climate change and is one of the reasons why the Australian government is offering a number of incentives for the use of solar power. A solar panel is made up of connected photovoltaic cells that convert the sun’s energy into electricity. Though a solar panel’s effectiveness depends on access to direct sunlight, it is important that the solar panels conform to certain international standards. They work best when they point in the northern direction and placed at the correct incline. More solar energy is generated in a city like Adelaide than Melbourne. Choosing the right installer for the panel is half the job done. 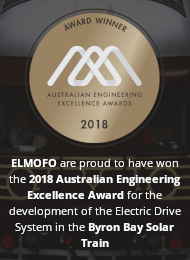 In Australia, a designer/installer accredited by the Clean Energy Council (CEC) is considered qualified enough to design and install a solar power system. 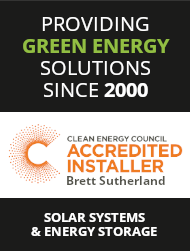 The CEC provides a list of accredited designers/installers and it would be best to choose a company with a proven track record in solar power system installations. The size of the solar power system to be installed depends on the energy consumption that is to be replaced and the amount of money willing to be spent. A household in Australia typically consumes 18 kWh of energy in a day. Therefore, a 2 kW solar power system would serve to replace 30 – 40% of the energy consumption. A fair estimate can be made from the electricity bill that charges energy consumption for a month. The installer is qualified enough to calculate the exact energy requirement. Solar panels come in different wattages. The number of panels that is to be purchased depends on the size of the space available for installation and the money that can be spent for the purpose of installation. The typical size of a solar panel is 1.6 x 0.8 m. A 1.5 kW solar panel would occupy close to 12 square meters of rooftop space. This is also dependent on the type of solar panel that is installed. The different types of solar panels that are available are mono-crystalline silicon panels, polycrystalline silicon panels and thin film panels. Mono-crystalline panels are used in limited-space applications and are most expensive. These panels degrade very slowly and they are being used for more than 50 years now. Polycrystalline panels are very similar to the mono-crystalline ones, but more of them have to be used to generate an equal amount of electricity. The thin-film solar panels are large in size and take up more area when installed. The common types of thin film panels are cadmium telluride, copper indium gallium selenide, and amorphous silicon thin film panels. Different types of solar panels are available in the Australian market for different applications. Flexible solar panels can be attached to curved surfaces. They are thin film panels and work well in diffused light conditions and are lightweight. They perform well under high temperature conditions. Solar panels using polycrystalline high quality silicon can be used in any climate and perform well in remote area power systems. They are mainly used in instrumentation systems, land-based navigation aids, etc. Mono-crystalline solar panels are manufactured using high quality silicon cells. They are mainly used in stand-alone power systems such as industrial projects, remote household power systems, etc. Many mono-crystalline and polycrystalline panels in the market carry a 12-year warranty. Newer models of solar panels come equipped with bypass diodes that control the drop of power output during shading. Many panels are designed to drain water efficiently even at low slopes. Power ratings of various solar panels in the market vary from 10 W panels to 250 watts. The solar panels are fitted with anodized aluminium frames for rugged outdoor applications. Many of the models feature tempered glass covers for providing a high impact resistance. 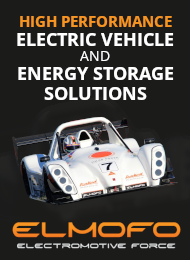 The panels also sport superior electrical and mechanical properties. 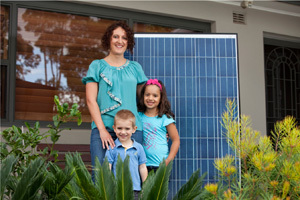 Solar credits are part of the Renewable Energy Target (RET) scheme offered by the Australian government. To be able to earn such credits, the panels should conform to international standards such as IEC61215, IEC61646 or IEC61730. When selecting panels, ensure that the installer provides proof of such standards. All panels should comply with Australian standards and they are accepted by the Clean Energy Council for use in Australia. The life of a solar panel is of great importance. Generally, solar panels carry a warranty of 25 years. It is therefore important to select a company of repute that will last the 25 years. A 1 kW solar panel system costs about AUD 10,000. The installation of cheaper panels may help to save immediate expenditure but may not offer the safety required of such systems in the long run. Safety risks from using bad quality panels include electrocution and fires. In summary, it is strongly suggested that the services of experienced and accredited professionals be engaged for designing and installing solar power systems. They will be able to recommend systems of the correct size, optimum cost, those that give you maximum power and money savings, and last longer. This will help to derive maximum benefits by avoiding common mistakes that people can make when purchasing solar panels. Gumtree asks; is it more environmentally friendly to drive a used car or a Tesla?